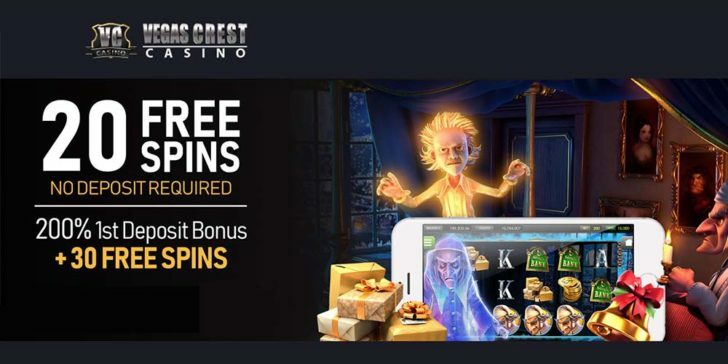 Vegas Crest Casino Welcome Bonus Package is quite comprehensive to make sure that new players kick-start their adventure with hefty bonus offers. First of all, readers of GamingZion enjoy an exclusive 20 No Deposit Bonus Spins on Tipsy Tourist. But of course that is not all. You can claim 200% up to $1000 match bonus on your first deposit. Moreover, there are 30 Bonus Spins on the popular online slot game Pinocchio. The benefits of your second deposit will be a blast as a 300% up to $1500 match bonus is up for grabs. This deposit package comes with 60 bonus spins on Fruit Zen 3D online slot game. T&Cs apply. 18+. New customers only. No deposit bonus winnings are capped at $100. No deposit bonus is subject to 99x bonus wagering requirement. Deposit bonus is subject to 30x bonus + deposit amount wagering requirement. unused Bonus Spins expire within 48 hours. Claim! Claim at Vegas Crest Casino!